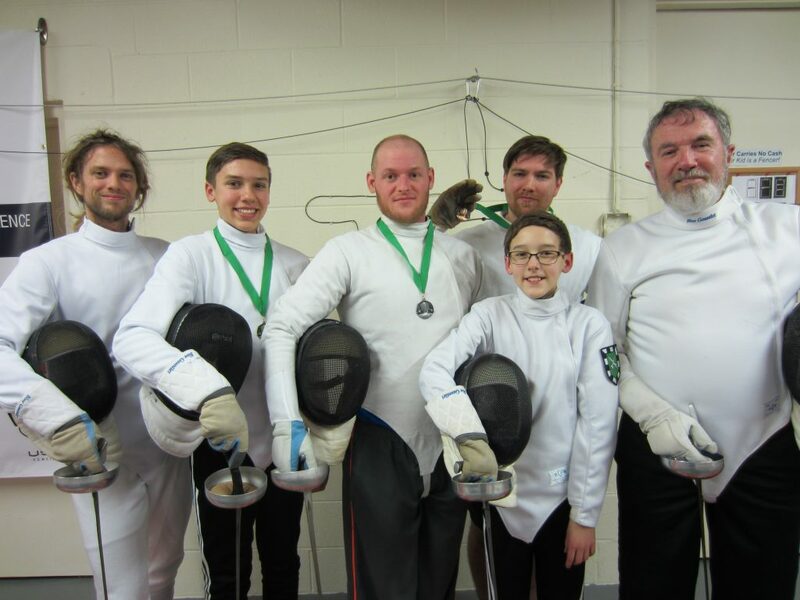 Lancet fencing originated at RedStar, a Chicago area fencing club, as a way to fence a modern equivalent of rapier with the full range of movement found in actual sword combat, combined with priority for hits to the core target and expanded timing to allow a subsequent hit within one tempo to score. We use our own Salle Green Lancet Epee Rules, a variant of the Red Star Lancet Fencing Rules, adapted to our facilities, and designed to simplify scoring, not conflict with other weapon skills training, and increase access. We fence Lancet Epee on a field 32 feet long by 15 feet in width with the competitors allowed to move in any direction. Bouts are fenced to the best of 3 touches. Hits to the core target (the torso and head) or as stop hits to the arm are worth 1 touch, and to the legs and arms 0.5 touches. 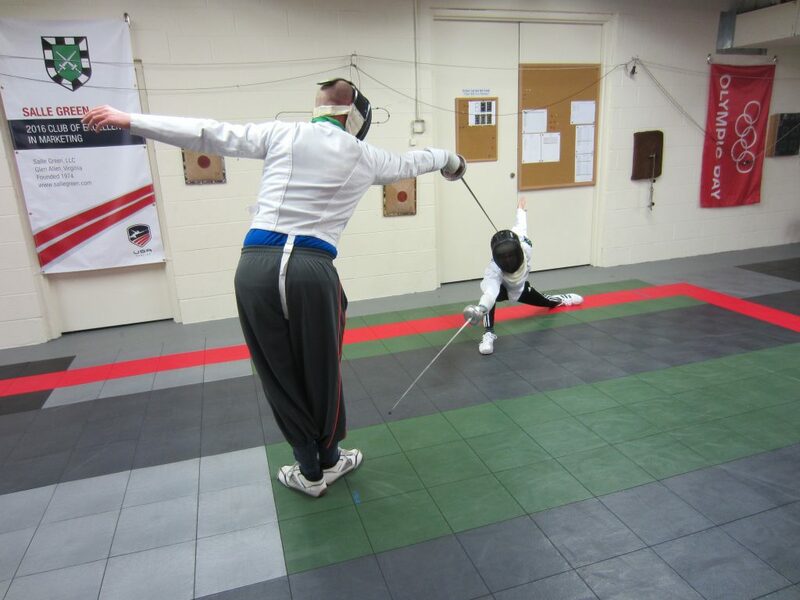 Fencers are allowed to use the non-weapon hand to deflect or catch and release the opponent’s blade. If both fencers increase their scores to 2 or more touches because of a double hit, the bout is scored as a double defeat. The standard weapon is the epee fenced dry, and competitions are fenced pool unique. Lancet competition is included in our regular series of Salle tournaments.